"The treatment is really a cooperative effort of a trinity - the patient, the doctor, and the inner doctor." Unaddressed and uncontrolled Hypothyroidism can bring deep muscle pain and fatigue that can be debilitating at times. But often, only when everything is stripped from you, can you truly grow. To heal, I myself was driven through a grieving process while repairing my mind, body and spirit. Through Complimentary Medicine, dietary changes, daily meditation, and even Play Therapy, I am once again whole and the person I am meant to be. But there’s more. After the storm, there emerged a wonderful new perspective. I chose to refocus my attention on serving others. By utilizing my BS in Exercise Physiology and Wellness, my medical and pharmaceutical background, and my knowledge of holistic health practices, I decided to help heal other women. Today, as the owner of Wellness Begins Here, I am privileged to offer Wellness Coaching to men and women going through medical challenges such as Autoimmune Disease, Cancer, Diabetes & hormone imbalances. I am more beautiful now than ever before because I am able to look in the mirror and know that I am at peace with myself. I have demonstrated true grit instead of giving up. I have forgiven myself and learned how to forgive others. I am more appreciative of the simple things in life and I now trust my inner wisdom each and every day. Today, I am living and making a difference instead of merely existing, and I am truly grateful for the opportunity. Throughout our lives, hormone levels increase and decrease, fluctuating at different times of the day and night. Too much or too little can dramatically affect our overall quality of life. Proper levels are important for daily coping, productivity, and long-term emotional, mental and bodily health. Women using birth control methods such as pills, the patch, IUD or other methods, may experience hormone imbalance. Individuals may be Perimenopausal or Menopausal, and not even know it. Men can even experience hormone imbalance, as their hormone levels decrease with age. Of the many clients I have worked with, three-quarters of them have suffered with hormone imbalance. A hormone is a chemical released by a cell or gland that sends out messages that affect other parts of the body. We may compare hormones within our body to the sparkplugs in an auto engine. If one is disconnected, the whole machine cannot function properly. For women in Perimenopause, the Ovaries produce less Estrogen and sometimes you may not be able to release an egg. Your brain compensates by releasing more FSH (Follicle Stimulating Hormone) into your blood stream. During Menopause, periods cease. What is the Thyroid and How Does it Relate to Hormone Imbalance? The Thyroid is the mothership of the body. This butterfly gland runs across the windpipe wrapping around the trachea and the voice box. The Thyroid helps regulate hormones affecting our energy, moods, hair, skin, nails and heart. It controls metabolism, blood sugar, sleep and our ability to deal with stress. If the Thyroid is imbalanced, depression, anxiety, fertility problems, brain fog and many other dysfunctions can occur. Estrogen is needed for puberty, childbirth and puts weight on the breasts and hips. It protects against Osteoporosis, Alzheimer’s Disease, enhances sleep, mental acuity, and affects incontinence. Estrogen is needed for emotional well-being and helps with pain tolerance. The wrong amount of Estrogen in your system can suppress the Thyroid and also cause fluid retention, among other things. Progesterone, the “feel good hormone,” has a calming effect that can improve quality of sleep. It regulates fluid balance and increases energy and libido. It is necessary for fertility and maintaining pregnancy. Progesterone stimulates the action of the Thyroid and is the key for building and maintaining healthy bones. Testosterone builds muscles and promotes muscle tone. It increases energy and libido. Testosterone also helps to strengthen bones. DHEA (Dehydroepiandrosterone) helps protect us against Heart Disease, Osteoporosis, Diabetes, Cancer, Alzheimer’s Disease, Lupus and Rheumatoid Arthritis. DHEA also enhances memory and immunity. Cortisol helps in responding to and coping with stress, traumas and infections. Cortisol helps with energy and aids metabolism. It enhances the integrity of blood vessels and regulation of blood pressure. Cortisol reduces allergic and inflammatory responses. However, when Cortisol levels rise too high, our bones break down and our Kidneys kick into overdrive. This can lead to Adrenal Fatigue and potentially Kidney Failure. What Can Affect Hormone Levels in the Body? Childbirth impacts your hormone levels. After having a baby, hormone levels can fall out of balance. Post Partum Depression, low energy and anxiety can occur. Many of my clients were prescribed anti-depressants and anti-anxiety medications when their Thyroid levels and hormone imbalance were actually the root causes of their symptoms. I do not argue that depression and anxiety may require medication, however, some medications may mask the true problem(s) and further complicate the situation. When we lose sleep or don’t experience quality REM stage sleep, Serotonin levels in the brain are impacted, raising blood pressure and Cortisol. This can, in turn, make us anxious and lethargic, leading to depression and other ailments. Losing sleep puts us at risk for heart attacks and Cardiovascular Disease. Some clients who use powerful sleeping medications tell me they still can’t sleep. Addressing the hormone imbalance is often the solution. Poor quality or excessive amounts of animal protein can impact your hormone levels. Keeping animal protein intake to a minimum can be beneficial. If we decide to eat meat, we should aim for organic meats without hormones. Have you noticed our children are developing much faster than years ago? Children are larger, heavier and curvier at a younger age and this is scary, on many levels. This means they hit puberty earlier, and their life span could be less. Did you know that chicken breast meat is naturally white in color? Estrogen is used to plump up the chickens, which may turn the meat yellow. By eating grains, vegetables, nuts and legumes, we can still consume complete proteins while keeping ourselves healthy. Milk today is very different from the milk we got straight off the farm, when we were children. Cows are now often injected with hormones that are excreted into their milk. “Casein” has now been linked to some Cancers. I suggest Almond or Coconut Milk which is high in Calcium and Potassium. Soy has become big business. Nowadays, it seems like it is in every “healthy” product we purchase. Even though there are benefits to using Soy, we must remember it contains Isoflavones which are, in essence, Estrogen. Soy can be beneficial to women in menopause, however, Soy can also interfere with Thyroid function. If you are on a Thyroid medication, it can affect its potency. Use Soy sparingly and try to use the natural form vs. the genetically modified type. Petrochemicals, cleaning products, plastics and even some brands of makeup contain “Xenoestrogens.” If you experience chronic constipation, these Synthetic Estrogens may remain in your body. One detoxing solution is to make sure you are getting at least 25 grams of fiber daily for healthy bowel movements. Also, ground up Flax Seeds bind to the excess Estrogen and are excreted after digestion. Birth control pills and other methods contain synthetic hormones. I educate clients about the pros and cons of different options. One particular Synthetic Hormone Medication is made from mare urine. Not an appealing option. Studies have shown links between Synthetic Estrogens and Cancer. Also, when it comes to Birth Control Pills, Hormone Injections, the IUD, Patches, one size doesn’t fit all. With IUDs and birth control injections, patients are receiving 3 months of hormones in one shot. What if you are a petite person and your system cannot handle this amount? What if you are a larger person, is this dosage right for you? Whatever you choose, team with your doctor to determine a reasonable dose that will still get the job done. In terms of bone health, two components in strong bones are Osteoclasts and Osteoblasts. Osteoclasts are the Pack Man-muncher cells that eat up old bone. Osteoblasts make up new bone. Estrogen is an Osteoclast inhibitor. Progesterone is an Osteoblast promoter. When hormone levels are off, bone thinning can result. This condition is called Osteoporosis and affects many thousands of people. Fragile bones can break easily and take longer to heal. This is particularly dangerous for elderly men and women. Many people with Osteoporosis take Calcium Carbonate supplements which are not easily absorbed and utilized by our bones. (Calcium Carbonate is typically used to neutralize stomach acid). I suggest a Calcium Citrate or Calcium Oratate supplement. In addition, Vitamin D, Vitamin K2, Strontium, Boron, Magnesium and other trace minerals can support bone health along with a good multivitamin [Of course, always check with your physician before taking any supplements]. Often, when treating patients with Osteoporosis, doctors prescribe Bisphosphonates which may have serious side-effects and can remain in the body for up to 15 years. It is important to investigate a potential hormone imbalance as a root cause first, before treating the symptoms with aggressive medications. Other causes that break down bones are smoking, alcohol, animal fat, and diet/regular sodas. Regular exercise such as aqua aerobics and toning routines can help to maintain and build bone strength. Bioidentical Hormones are derived from plants and are identical to human hormones. Once they are absorbed, they are indistinguishable from your own. They have little or no side-effects. Compounding Pharmacists create or “compound” your medication specifically to your needs. Bioidentical Hormones come in capsules, transdermal creams that are applied topically to the skin, and sublingual drops. This option is well worth considering. When teaming with clients, I assess their challenges thoroughly and often recommend physicians and specific blood tests best suited to their particular needs. If you feel you may have a Thyroid issue or Hormone Imbalance, seek help right away. Finding a professional who specializes in treating an imbalance with Bioidentical Hormones is a wise move. Also, by educating ourselves in the pros and cons of Synthetic and Bioidentical Hormones, we can gain a better understanding of hormone imbalance and its alternative treatments. Most importantly, seek out doctors that view you and treat you as a whole person – open minded professionals willing to discover and treat the root cause, not simply band-aid the symptoms. I hope this article will empower and inspire others to become their own health advocate. It is clear that our society today, as a whole, is overworked and highly stressed which often leads to high anxiety and depression. We often battle these with alcohol, comfort food and yes, even compulsive shopping. Many of us simply look to distract and numb ourselves rather than peel the onion and face our issues head-on. Of the many clients I have worked with as a Wellness Coach, the majority have been challenged by anxiety or depression. If left untreated, anxiety and depression can lead to serious complications. Well-rounded Mind/Body/Spirit assessments are the key to effective, long-term solutions. Sadly, many physicians lack the time and training to assess and treat us as a whole person. Root causes are often overlooked and the resulting symptoms become the basis of our treatment. For example, undiagnosed and untreated Thyroid Disease can result in anxiety and depression. Medicating the symptom does nothing to address the root cause and may even mask it further. Antidepressants are one of the most frequently prescribed medications in the United States. Unfortunately, their side effects may mimic our original symptoms or even trigger a domino effect of new issues which can overwhelm us even more. I do not argue that anxiety and depression may require medication. However, we need to examine other factors as well, that are often overlooked, that may impact and contribute to these chronic conditions. The quality of foods we eat, along with the timing of meals, can affect depression and anxiety. Many people skip breakfast or have only coffee and a doughnut. They describe their mornings as stressful, and may experience headaches, lack of focus, mood swings and feelings of high anxiety. A sugar or caffeine surge can negatively affect a person’s physiology, particularly brain function. Even if a person doesn’t have Diabetes, Insulin levels can rise and peak, and blood sugar levels drop. This vicious cycle repeats over and over during the day. Being proactive and eating well-balanced, mini-meals throughout the day can help keep blood sugar stable. Combining complex carbohydrates with protein is ideal. Clients who eat at least three meals a day, plus natural snacks in between, tell me how much better they feel both emotionally and physically. When we lose sleep or experience poor quality of sleep, chemical changes in the brain affect our perception of ourselves and how we view the world. This also impacts our ability to effectively deal with life’s stresses. Many of my clients sleep with the television on. This can affect Serotonin levels in the brain, which can impact our REM stage sleep. We may wake feeling energetic, but are we truly well-rested? “Nervous energy” should not be confused with healthy, well-balanced energy. Getting a minimum of 7 to 8 hours of quality sleep each night can help you feel like a million bucks, inside and out. Exercise can help with anxiety and depression. Studies have shown that physically active people recover from mild depression more quickly, and that there is a strong correlation between physical activity and good mental health. When juggling family, career and household responsibilities, more often than not, exercise is the first action item to fall off our To Do list. Raising your heart rate into your aerobic zone for 45 minutes a day, 3 to 5 days a week, can help realign your perspective and increase your ability to manage stress more effectively. Over time, this can lead to a reduction in anxiety and depression. Motivation can be hard to come by when you're depressed. One way through this challenge is to retrain your brain to view exercise as “Play.” Something you deserve and look forward to. Find something you love to do, perhaps with friends or family, and establish a routine you can stick to. Vitamin & mineral deficiencies can also affect anxiety and depression. I recommend specific blood work, to rule this out of the equation, early on. B vitamins are essential for normal brain function and mood regulation. A vitamin D deficiency may cause low moods along with muscle weakness. Potassium, also known as the “cognition mineral”, can impact anxiety and depression. If levels are too low, symptoms can include decreased focus, impaired cognition, muscle weakness, fatigue, anxiety, nervous system deterioration, poor sleep and yes, depression. Omega-3 supplements, either alone or especially in combination with prescription medications and talk therapy, may be effective in treating mild to moderate depression. While more research is needed, it appears that low levels of Eicosapentaenoic Acid (EPA), one of the fatty acids found in fish, are common in people with depression. Supplementation with therapeutic doses of amino acids sometimes results in an improvement in mood in just a few days, but the typical course of treatment lasts from two months to a year. Low doses of amino acid supplements are used thereafter. Amino acids are converted to neurotransmitters. As neurotransmitter levels rise, depression and anxiety symptoms diminish. Chronic pain, at high or low levels, can drive the mind and body deep into a stressful, anxious state. Over time, we may become so familiar with the pain that we overlook it’s direct impact on our overall mood and sense of well-being. Eventually, we feel lethargic and slow our daily pace. We may lose motivation to enjoy our children, complete our chores and even go to work. To work through this, we must first take the time to assess, preferably with a professional, the connection between our anxiety and depression and our underlying physical pain. Once we gain a clear understanding of this, we can take steps to better manage the pain through medication, exercise, meditation, nutrition, Reiki and other such practices, to help minimize the emotional strain and move past the resulting anxiety and depression. Talking to someone about what you are going through can help. Finding a professional who truly listens to you, thinks outside the box, and doesn’t just treat you by your test results, can make all the difference. This can be an MD, therapist, or spiritual guide, as well as holistic, healing practitioners. Facing ourselves in the mirror can be something that makes us uncomfortable, however, by not doing this we miss out on unleashing our potential to heal. They say the answers are inside of us. Finding someone you trust and taking small steps is a great way to start. Assessing anxiety and depression through the mind, body and spirit connection is crucial. They are truly interconnected. We are a whole person and not the sum of our symptoms. Through education we can gain a better understanding of alternative treatment options. Well-rounded approaches that compliment allopathic medicine, providing us with positive results. I hope this article will empower and inspire others to become their own health and wellness advocates. Have faith and never give up. Founder, Kim Ruggierio is the driving force behind Wellness Begins Here. 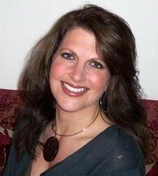 Kim is a Certified Wellness Coach, Reiki Master, a Degreed Exercise Physiologist and is affiliated with The American College Of Sports Medicine. She has over 20 years of experience serving women, men and children from all walks of life including competitive athletes and weight loss/fitness clients with medical challenges. Kim has also survived health challenges of her own. She combined her own personal experiences and knowledge of holistic health practices with her extensive professional background in the medical, pharmaceutical and fitness communities, to assist other people in overcoming their own obstacles, particularly women suffering from complex and confusing Autoimmune Diseases. Autoimmune Disease is defined as an overactive immune response of the body against normal human tissue. In other words, the body attacks its own cells. The immune system recognizes one or many areas as a pathogen (a germ, fungus, virus bacteria, etc.) and turns against the body. Perhaps the most confusing aspect of Autoimmune Disease is its diversity. It is not one disease, but many different diseases and conditions. In fact, there are more than 80 that fall under this category, including Thyroid Disease, Lupus, Crohns, Celiac, Rheumatoid Arthritis, Sjogren’s and Addison’s and Multiple Sclerosis. There are many more that are less common, however, no less serious to those afflicted. Researchers are starting to believe there is a strong autoimmune component to Chronic Fatigue Syndrome and Fibromyalgia, as well. More than 50 million Americans have an Autoimmune Disease, qualifying this challenge as a major U.S. health crisis. Women are afflicted 75% more often than men, and it ranks as one of the Top Ten Killers of women under the age of 65. Cases tend to cluster in families. For example, if your grandmother had one, you could be at a greater risk for developing one yourself. As we know too well, when people feel “off”, they may lose focus and be unable to effectively communicate what they are experiencing, which can lead to misdiagnosis and ineffective treatment. We need medical professionals who can navigate through this self-defeating road block, but finding the right doctor for your particular needs, can be like trying to find a needle in a haystack. We need doctors who are knowledgeable, compassionate and willing and able to slow down and truly listen to what we have to say. We desperately seek doctor “detectives” who investigate and treat the cause and not merely the symptoms. We need medical professionals who view and treat us as a whole person, and are willing to offer alternative options. If you suspect you are suffering from an Autoimmune Disease, make an appointment with an Endocrinologist or Rheumatologist. Seek out those with a strong reputation for “treating outside the box” and professionals who are open to holistic approaches. Don’t be afraid to ask questions, go for classic blood work, live blood analysis and other tests, and be sure to study-up on side effects of recommended medications. Understand what you are putting into your body. Use both your knowledge and intuition to help determine if this particular approach is right for you. Will it fix the problem or just mask your symptoms? Also, it is important to ask for other, alternative treatments. If you are not satisfied with the outcome of your visit, always get a second or third opinion. People with Autoimmune Disease often feel alone with their disease and with the everyday struggles that it brings into their lives. By educating yourself and learning what your options are, you will be empowered. You will become your own health and wellness advocate. The internet is full of websites that offer Blogs and support groups for people who struggle with Autoimmune Disease. You can learn, share and have a voice. People with Autoimmune Disease could benefit by finding a Lupus Foundation in their community. The Lupus foundation is not just for Lupus patients. They also focus on helping people with other Autoimmune Diseases. They can provide support and other services, such as Educational materials (most have a lending library full of books, brochures, CD’s & DVD’s) for the person with Autoimmune Disease as well as for family members who may not understand the disease and the physical, emotional, support the person may need. Family members may feel afraid, confused and not know their role in the healing process or as a caregiver. It is important their needs are addressed as well. Stress (especially emotional stress) has a major impact on Autoimmune Disease. Stress generates brain chemicals that negatively impact your mood, your ability to heal and your overall state of well-being. By better managing or eliminating stress triggers in your life, the Immune System may often return to an optimal state to fight off disease. Start with shedding your guilt and carve out some quality time for yourself. Learning not to take on too much at one time is also very important. One thing I have learned to say is, “I wish I could help you, but unfortunately I can’t right now. How about I get back to you on Thursday.” These are a few of many fairly simple, positive changes that can result in a more balanced, healthy path through your illness. Most importantly, open your mind to complimentary and alternative treatments. Many people have experienced great success managing their Autoimmune Disease through the use of Acupuncture, Meditation, Reiki, Qigong, Massage, and Yoga. I myself have had great success with music, pet and play therapy. Any activity that ignites your child-like sense of play, tends to yield great results. One activity in particular, Aqua Activities or pool play, has been very successful for my clients. This is a combination of low-impact movements in a pool that are choreographed to fun music while you laugh, dance, play and heal all at the same time. Depending upon your medical challenges, exercising out of the water can be difficult. By utilizing the buoyancy of the water, even the severely challenged can exercise and splash their way to physical, emotional, and spiritual healing. The most important lesson I have learned in managing Autoimmune Disease is learning to fight on some days and surrender on others. Surrender does not mean give up. It just means allowing yourself to relax and heal such as taking a 20 minute nap to recharge. Oftentimes, attack-mode and being “too driven” can make things worse. Find your own personal balance point for coping, surviving and thriving through your challenges. Copyright 2009 Wellness Begins Here, LLC. All rights reserved.